I'm going to keep this short and simple. 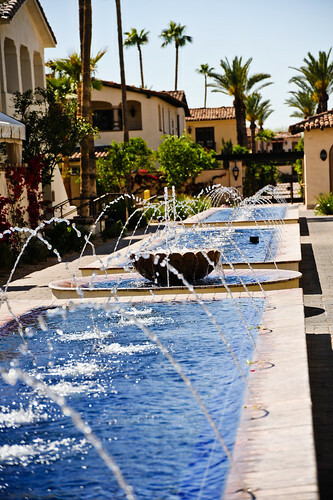 My top two spots for coffee in the Phoenix metro area are Lux in central Phoenix and Crave Café at the Montelucia resort in Paradise Valley. 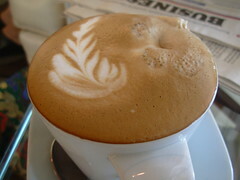 I am always on the lookout for exceptional coffee or espresso in the valley, so feel free to send suggestions. Crave uses Lavazza coffee for their drinks and they know how to brew it--my personal favorite is an iced coffee with a splash of cream and touch of agave ($2). The iced coffee is much stronger than a latte--something to do with the way it's prepared here. Try the gelato made on site at Crave, it is amazing. The affogato is a traditional Italian dessert and worth tasting-it's a scoop of gelato with a shot of hot espresso poured over it($6.50). 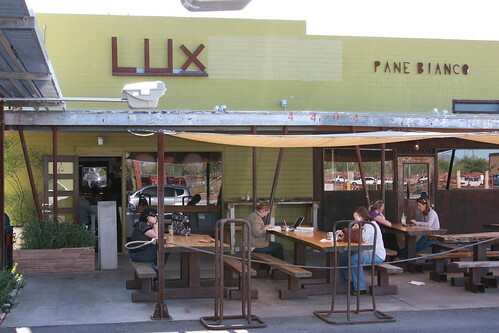 Second stop on the coffee train is Lux coffee on Central avenue and Highland. I'd say it's a mac-friendly crowd at this trendy little joint. Lux can get pretty groovy on Sundays with a live DJ who mixes up everything from R&B to techno for background music. I wasn't always a mocha drinker, but Lux has me converted. Ask for a dollup of the homemade whipped cream with your drink--it's unreal. I generally like to taste a café's espresso to get a real sense for the quality of the coffee, but I haven't had one yet here. My husband will vouch for the drip--he says it's stellar. Towards the back of the main area, there's a small room with an older victoria lido roaster. Beans are roasted on site in small batches almost every day. Lux offers delicious locally-made baked goods, better than what a great at-home baker can make. I also love the yogurt and fruit--ask for a side of fresh granola to stir in.